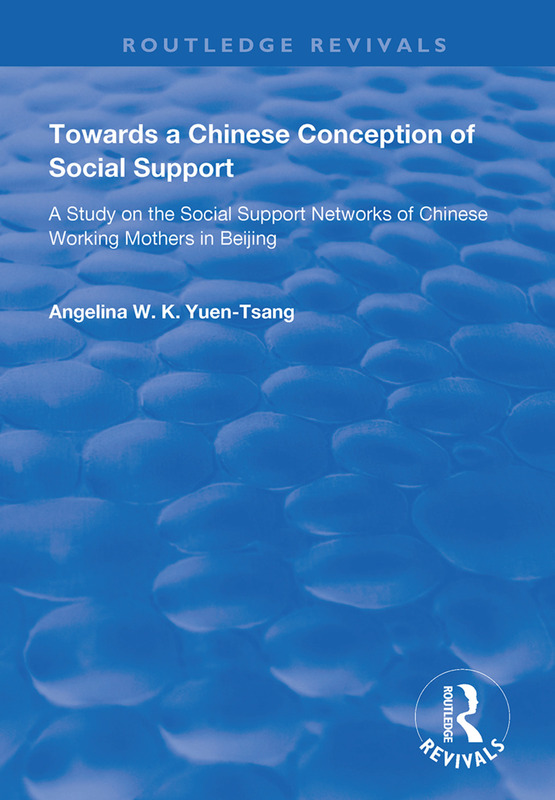 First published in 1997, this volume is an attempt to study the patterns of social support among Chinese working mothers in a Beijing neighbourhood with the aim of developing a beginning understanding of the Chinese conception of social support. The data indicates great variations in the support relationships experienced by the 27 Chinese working mothers interviewed on their social support and support relationships. Angelina W.K. Yuen-Tsang aims to understand the existing patterns of social support, to develop an initial understanding of the Chinese conception of social support through the grounded theory method and to explore the implications of the Chinese conception of social support on social work practice and social work intervention in the PRC. She argues that the introduction of formal social work interventions to supplement the informal networks is therefore envisaged to be a necessary and inevitable trend of development in the People’s Republic of China.